You all know I have such a funny relationship with running- one day you've found me running endless races. The next, I'm nowhere near my my run kit. Pretty much after Hamburg, I couldn't bear the thought of running, even though I really wanted to run another marathon. I'm finally in a happy place with running again and I think I've found how to find re-love running. The few months I had off running gave me the time to think about running. What do I love about running? What do I want to achieve when I run? What are my next running goals? I used the time to think about my marathon training for Hamburg. I realised it was just so boring. I had been running what felt was all the time ( truth be told, I did go to the gym for treadmill runs and HIIT sessions, but I did so much running) and I was doing most of my sessions alone. So, I should tell you first where I'm going for my second marathon -the clock is ticking away until D-Day...Verona! It was a difficult choice between Istanbul and Verona, but pizza, pasta and the setting of Romeo and Juliet won me over. Who could say no to that? When I sat down to to think about my next set of fitness goals, I knew I wanted to run a faster marathon, but I also wanted to enjoy my training a lot more. When I trained for Hamburg, I was strict about it to the extent I think I forgot how to enjoy running. In between Hamburg and Verona marathons, I worked a lot on my body strength by doing a lot of weight lifting and less HIIT sessions at the gym. Now, I was supposed to finish that programme during this Verona marathon training, but I've loved it so much, I decided to incorporate it into marathon training. 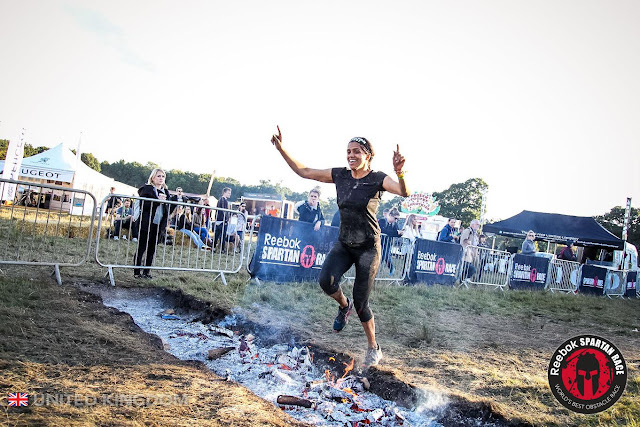 With all this strength, and the miles under my feet from running for marathon training, I realised obstacle course racing was the perfect way to combine the two. After my taste of obstacle course racing at Dirty Dozen, I realised I wanted more. And then, the ultimate opportunity fell on my doorstep - Spartan Race gave me the chance to take part in a race. Spartan Race is one of the obstacle course races that are on my bucket list. There are three types of races for different levels and distances. Sprint is a 5km race with over 20 obstacles. Super is 13km with over 25 obstacles and Beast is the longest - 20km with over 30 obstacles. Plunging myself right into the deep end, I took part in the Beast. Time to get dirty and test my legs' power and my upper body strength. Training upper body a lot (coincidentally) before the race massively helped with me completing the obstacles. At Spartan, you are punished with 30 burpees if you can't complete an obstacle. There were only two obstacles I couldn't complete, which I'm pretty impressed with! In fact, in terms of obstacles, Spartan Race is very much about using upper body strength. Besides their Facebook page, you can use the workout of the days (wods) that are on the Spartan Race website for inspiration on how to train for the races. If you manage to go to all three types of Spartan races within a year, you become a member of Trifecta; the three medals piece together to create Spartan's symbol! 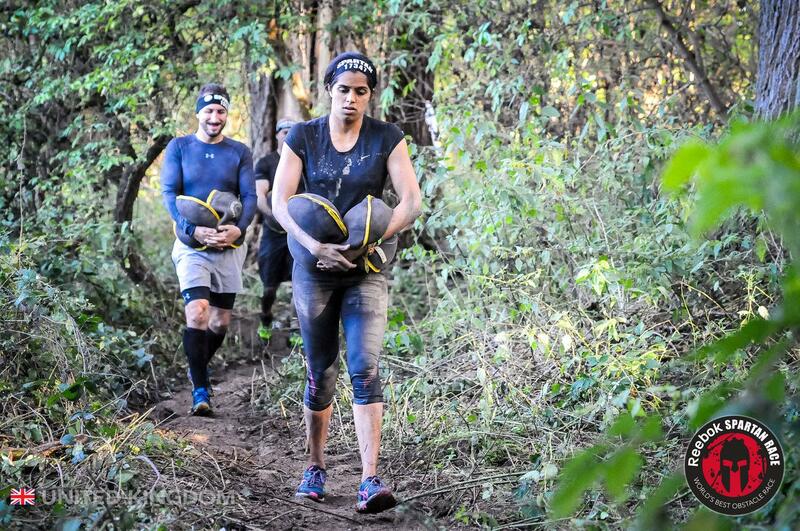 Heck, if the Beast isn't challenging enough for you, why not try the Spartan Ultra Beast - over 41km with 60 obstacles? Pure madness. Pure beastliness. I know obstacle course races can be on the expensive side, but if you follow point five here,, you can get free entry. Now you know it. I've found a way to love running again - obstacle course races, like Spartan, incorporate my love for weight sessions at the gym and also pounding the streets. So let's get muddy and jump (over a fire wall) for joy. 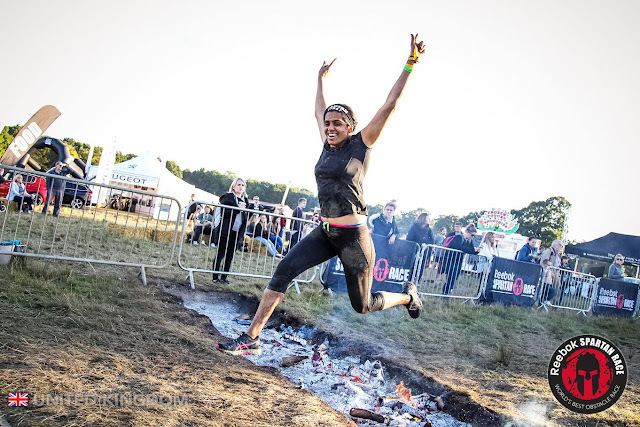 This was written in association with Spartan Race, however all views are my own.